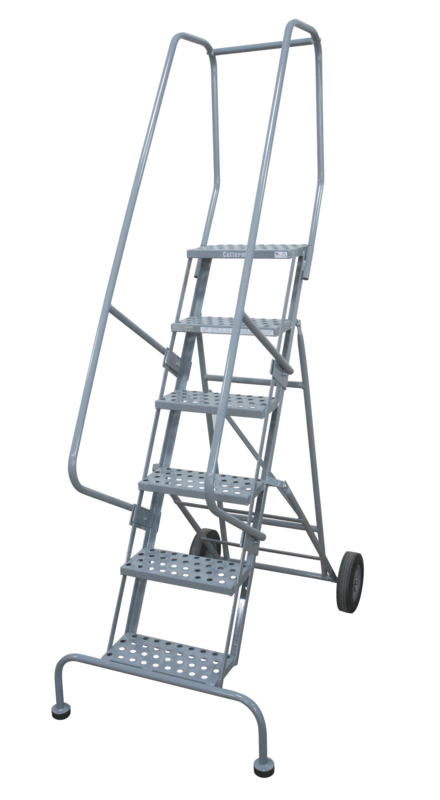 The SERIES 6500 Roll-N-Fold Ladder is a portable steel rolling ladder than can be folded for transporting or storage. 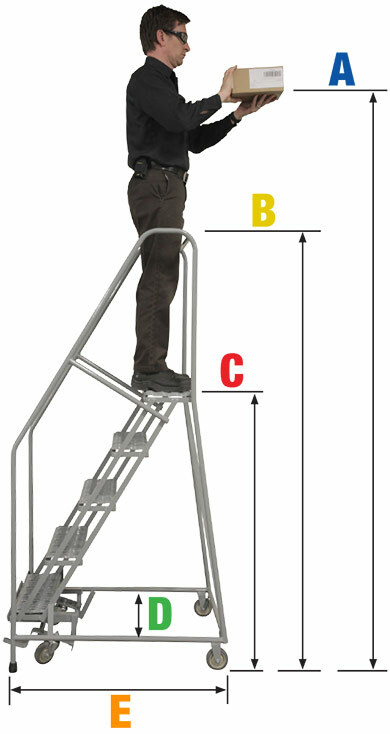 The rear of the ladder has large 10″ rubber wheels for easy portability, even on rough surfaces. Rubber pads on the front legs hold the ladder secure during use. 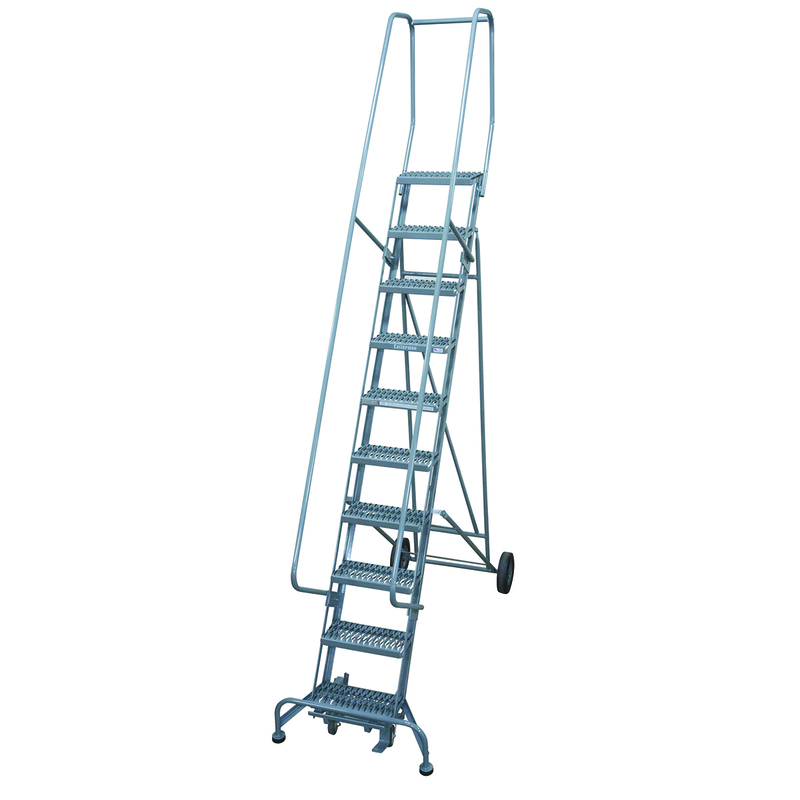 5 to 9 step ladders are moved by tilting and rolling it like a wheelbarrow. The SafeLock is standard on 10-16 step models, but also available as an addition option on the 5-9 step models. Treads are 7″ deep and 16″ wide. The standard top step is 10″ deep and 16″ wide, deep tops are 20″ deep by 16″ wide. Large 10″ diameter solid rubber wheels. 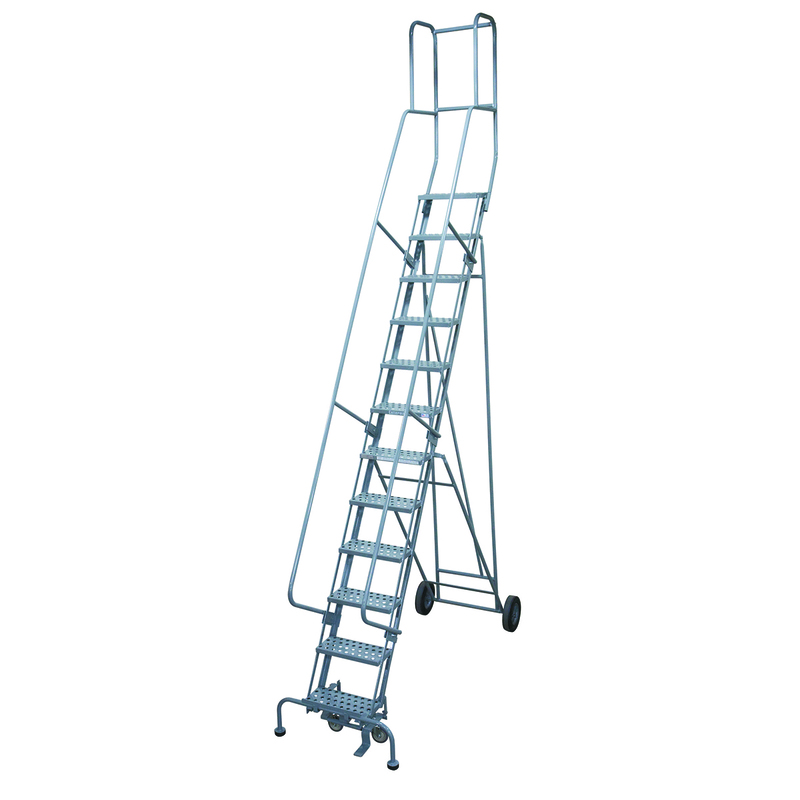 Series 6500 ladders meet applicable OSHA and ANSI standards. 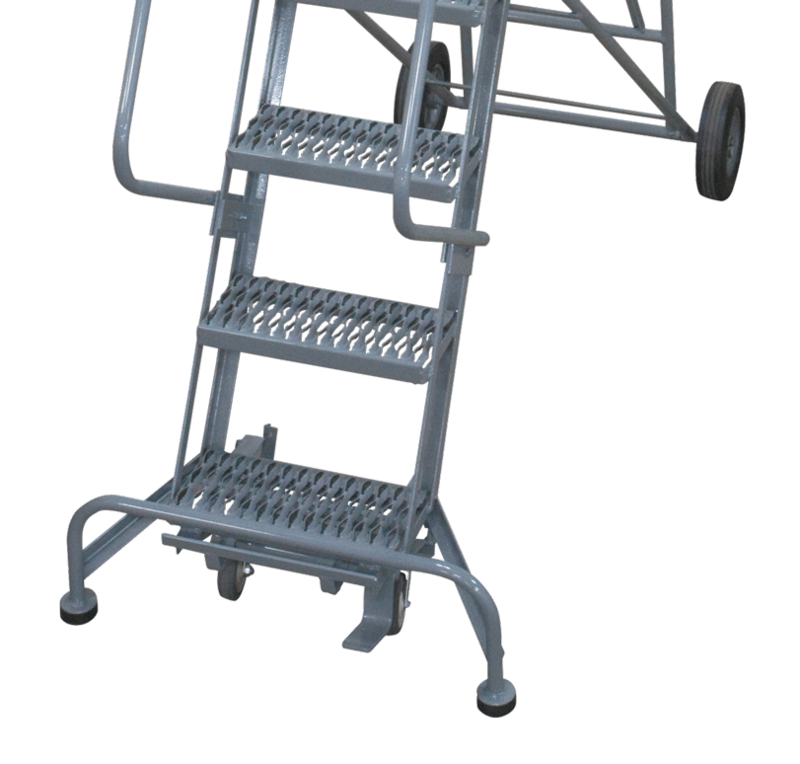 Cotterman® SERIES 6500 comes with 16″ wide treads. Foot-activated locking mechanism and large 10″ rigid rear wheels. Optional on 5 – 9 step. Standard on 10 step & above.